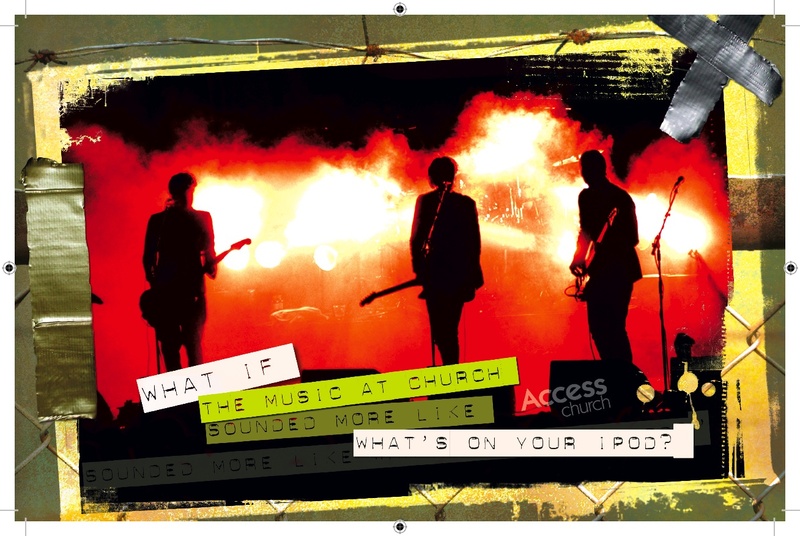 Access Church: What's in Your Mailbox? We're hoping this postcard will cause many who've not thought about attending church in a long time to hear something unexpected. The postcard leads them to this page on our web site, where they can download samples of our worship music. Perhaps if they like our music, they'll realize that church can be a lot different than they thought! The postcards don't represent a new strategy for drawing people to Access Church. Instead, by mailing them to your neighbors, we're reinforcing the strategy we already believe in: Invest & Invite. Investing in people means taking the time to get to know the people around you, care about their issues, and be a part of their world. It means offering love and grace to people who haven't experienced nearly enough of either. They could be your family members, or they could be people who are nothing at all like you...on the surface. Inviting those individuals to church used to be a risky proposition. We know that. That's why we strive to create environments which are predictable in their excellence. We want to partner with you so that once you do the hard part (inviting) you can be assured that we're not going to let you down (ineptness) or pull the rug out from under you (judgmentalism). Dropping a few postcards in the mail might make the inviting easier. If you got one, that means your neighbor did as well. Just maybe, they were surprised by the design, the music, or one of Andy's messages. If you've been investing in a friend/neighbor/co-worker, ask them if they got the card, and if anything about it surprised them. Perhaps they're ready to visit Access Church in person. If you haven't been investing in the people around you, let this be an encouragement to start today. Ask someone about their weekend. Initiate a conversation around the water cooler or the bus stop. Take a neighbor out for coffee—just to listen. Wouldn't it be great if the community around us began to see that it's not just our music that's different, but our attitude towards them, as well?